Share the love of gardening this Valentine’s Day with your sweetheart. Here are a few ideas. Buy a beautiful container, a bag of potting soil and seeds of cool-season veggies (lettuce, radishes, spinach) that you can plant now. Spend time together planting your salad bowl garden to enjoy in a few weeks. 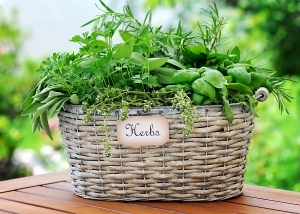 Start a mix of windowsill herbs and give with a book on herb gardening. Some herbs to consider are thyme, mint, chives, rosemary and oregano. Help design and construct raised beds. Put together a basket of plant markers, new gardening gloves and a new garden tool. Give a subscription to favorite gardening magazines. Pay registration to a nearby gardening symposium for the two of you to attend together.